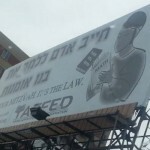 Some examples: The largest and most successful photo supply company in the United States is owned and operated by Hasidic Jews who were educated at Hasidic schools in New York. They employ hundreds of workers who deal daily with the most sophisticated buyers of cutting-edge technology in the nation. Hasidic Jews also fill senior IT, financial and corporate positions there. Our community is home to accountants, comptrollers and computer experts who hold high positions in banks and other financial institutions. The number of Hasidic businessmen who regularly travel to Asia is so great that hotels in China, Japan and other countries in the Far East make accommodation for them so they can observe the Sabbath. 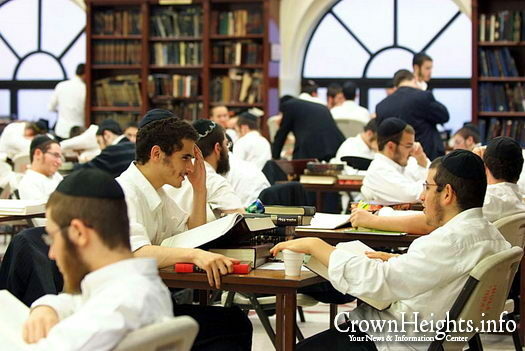 There is also a cadre of scholars who devote their lives to the study and teaching of Torah. They serve as the intellectual and spiritual leaders of our community. They are charged with the responsibility of dealing with the complexities of modern society according to the tradition of the ages. Their responsibilities run the gamut from resolving controversies arising from complex business disputes according to Jewish law to advising families and physicians about end-of-life issues. Our graduates have been successful in utilizing what they have been taught, both in their Jewish and secular studies departments, and have been successful in building remarkable careers, businesses and institutions. Critics of our educational system are blissfully ignorant of the enormous successes it has produced. What they really seek to take issue with is our value system, one that is in dissonance with that of the secular society that surrounds us. Whatever the profession or endeavor, those who possess these vital skills are the best educated. To comment 2, entitled “lie”: you are incorrect. Orthodox Jews do NOT have a much higher wealth rate compared to those with a secular education. A Pew research study on American Jews found that, among Orthodox Jews, only Modern Orthodox (who, incidentally, receive the very finest secular education) achieve the same economic status as Non-Orthodox Jewish groups. As for Orthodox Jews, another study found extremely high incidence of dependence on Government programs. The data is out there about both these points. You are wrong. Yosef, the article itself mentions that many Orthodox families have a lot of children (ka”h), so that expenses are higher than for non-Orthodox families of comparable income levels. That skews the results. The Professor attributes the success of the entrepreneur to education and attributes the failure to be hired, for a job, to bias. How much torah did you learn today? Rabbi Dr. Twersky is absolutely right. I received the very finest secular education, but upon becoming frum and studying Torah, esp. Talmud, I was wowed at the academic rigor and mental powers it demands. I never doubted for a moment that my kids would receive the world’s best education in our yeshiva system. Now they’re all grown, and B”H I was never for a moment disappointed!! My dear sir, your children won’t get the same kind of educaiton that you got as an adult BT tzugekuminer to the system. People who come from the educational system and who are not catered to as adults are do NOT pipeline from Yeshiva to an Ivy League School. Rather, they struggle just to pass general bio, chem and math. That’s a fact. I lived it. My point is, your experience gave you expertise in speaking to what it’s like to have the very best education, and then supplementing it with religious instruction packaged to stimulate you as adult. You are not experienced correctly to speak to the FFB Shtetl-like Yeshiva experience. Parents: If you registered your child to a school that officially doesn’t teach secular studies or does to a minimum. If secular studies is important to you, find a better school or get tutors, there are options. If your kids show self interest, that’s a blessing, give them the tools. Student: From 6 years and up (yes, I wrote SIX because several of my kids – not all are the same- took self interest in learning the ABC and basic math at that age), if you want to learn, make it happen, there are tools easily available these days to learn. And it’s never too late. If you are 16, 18 or 22 don’t play the blame game for the rest of your life, grab yourself by the shirt collar and do whats needed. The blame game, won’t get you anywhere. There are many who do not want to go into business, but would like to be doctors, dentists, architects, lawyers, engineers, scientists. To be in one of these professions, sorry but you need secular education. How did the author manage to become a law professor…. After succeeding in yeshiva, you could take a 3 month course in computer science (or probably any other field that requires analytical to thinking) and be more competitive than the vast majority of the job market. You don’t need a fancy degree or even a high school ‘education’. 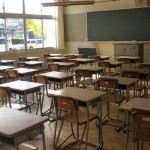 If you believe students who attend public secular schools receive a good education, you never taught a college class. Most students require remedial math, reading, and writing before they can even begin actual college classes. Public schools are so filled with liberal ideology indoctrination that actual subject learning is mostly ignored. The Jewish community should establish an educational system as the Catholics have, which includes elementary, secondary, and college levels. Many big rabbonim and shluchim are baalei tshuva. If a person can start learning chochmas Hash-m at 22 or 25 years old with no formal background and be successful, then surely, if one must, it is possible to be successful in learning chochmos chitzonius (l’havdil) without a formal education. This is aside from the fact that chochmas haTorah (mitzad chochma alone) is far more rigorous and complex and that learning chochma chitzonius makes a Jew think like a goy. College is a big business and a lot of the people who have stakes in that business are upset that frum yidden don’t participate. If they can force and pressure us to send to university, they can make more money and they are mad that we resist because we believe in Hash-m and in the words of our Rebbe who strongly opposed this. To number 6, we have a mesorah that children should not learn chochmas umos ha’olam before age 9 and ideally not before age 12. Although, l’achar ha’maaseh, it is hashgocha protis and your children should be successful in their avodas habirurim. How does your last paragraph relate to my comment? the entire linkage between (all) knowledge and success is irrelevant. Who are “we have a mesorah”? Jews make up ~~2% of the American population, and Orthodox Jews make up about 10% of that. I don’t think that a “big business” (as *you* describe universities) is so “upset” or “mad” that less than 0.2% of the population doesn’t participate.